‘Fourneau Saint-Michel’ is the name of a series of museums in Saint-Hubert – Belgium. One of them is an open air museum about the rural life in the south of Belgium. 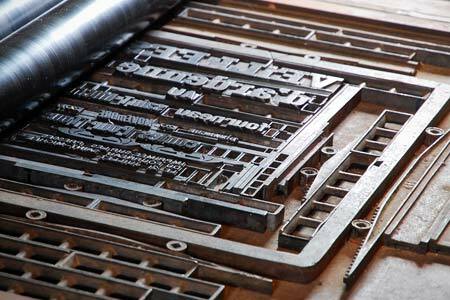 Their collection of old buildings includes a small print shop or ‘imprimerie’. 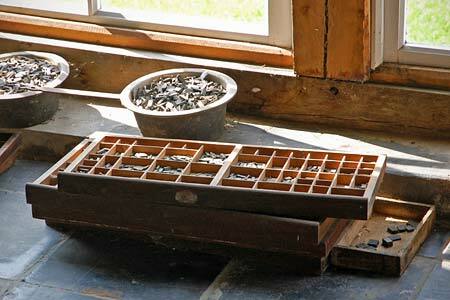 It really is a tiny place – one single room that is barely big enough to hold a press and some type case cabinets. I don’t think the press is still in working order. Here is a detail from that press, showing the poster that is ready to be printed. Look at the ingenious way the type is kept in place. It was a beautiful day and light was streaming through the large windows. Type in a melting pan, waiting to be recast. It was pretty difficult to take decent shots of the room, so let’s finish with a picture from the building down the road. 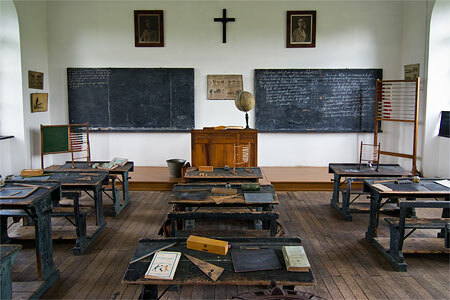 Back in the 1920’s pupils in this small school may have used some of the books printed at the Imprimerie. Pupils of all ages together in one single classroom. 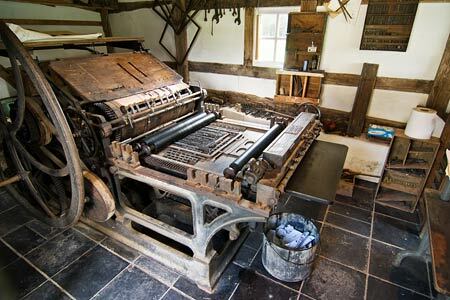 If you like such photographs check out the pages with pictures of printing museums.